In the past week or so Chrome users have lost functionality of several Diigo services. For example, if you go to Tools for any of Diigo's Chrome extensions you get the message that it has been pulled by developer. What is going on. 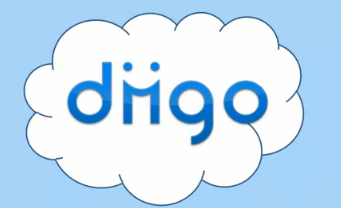 Personally, I have not used Diigo for over a year know out of privacy and security concerns. For example, six months ago Awesome Screenshot was mentioned as one of the "bad extensions" that Google needed to reign in. As far as the extensions go this was posted on Diigo's Twitter account on May 15th. It is what it is. I recently posted about Awesome Screenshot Minus which does a fine job with screen capture and annotation. Recently, they added a feature, Capture Desktop, which allows you to capture outside a specific tab. For example, in Chrome OS, the panel, menu, or Files app could be captured for annotation. Another important feature of Diigo was webpage annotation. Super Simple Highlighter may be a worthwhile replacement. The webpage highlights are stored in Chrome, but can not be synced across devices. An old favorite and one I plan on using again is Yawas. It is very simple, it allows you to highlight a paragraph and select an annotation color. Like Super Simple Highlighter it is not stored on some third party server. Rather than the highlight being stored within the url itself, it is stored in Google Bookmarks. The big advantage with this approach is the highlighted webpage is available on any device I choose.